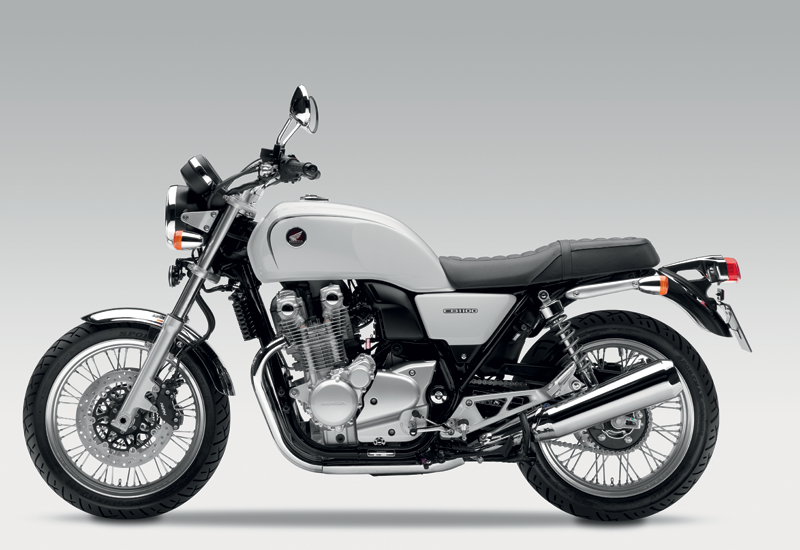 The Honda CB1100 – now designated the CB1100EX – may only have been introduced into Europe for 2013 but it was first unveiled in Japan in 2009, and has now been given a mid-life refresh with spoked wheels, a larger fuel tank and a bit of a restyle and – most importantly – a six-speed gearbox. 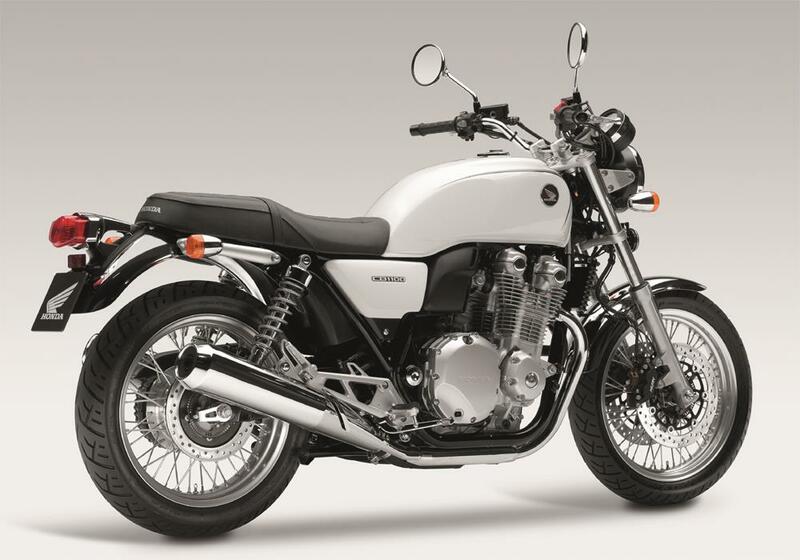 Unless you are an existing owner or just a massive anorak you’re going to have to stare at the new bike for quite some time before you notice the differences – apart from the obvious spoked wheels and the new twin exhausts. 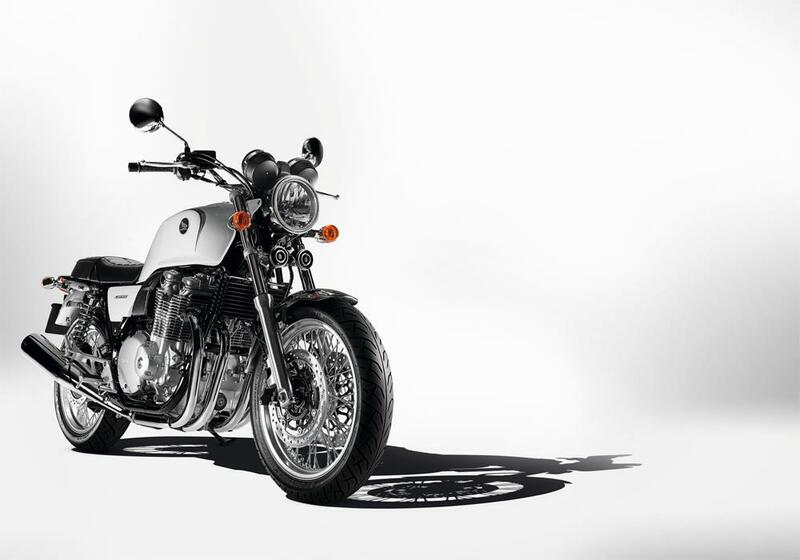 Eventually you might notice the front headlight is now mounted higher and the side panels are slightly changed; as are the pillion grabrail and the instrument panel, which now carries more information. 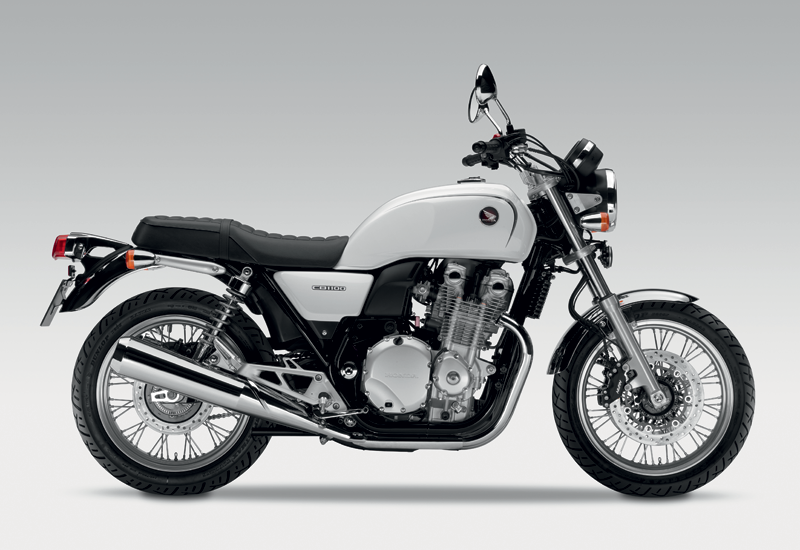 This model replaces the CB1100 in the UK market but will run alongside the similarly updated standard bike in other countries. The new six-speed gearbox keeps the same ratios as the five, but with an addition of sixth gear as an overdrive, along with a larger 17.5 litre fuel tank (increased by 2.9 litres over the old bike). Three colours will be available; red/silver/ white/silver and black.